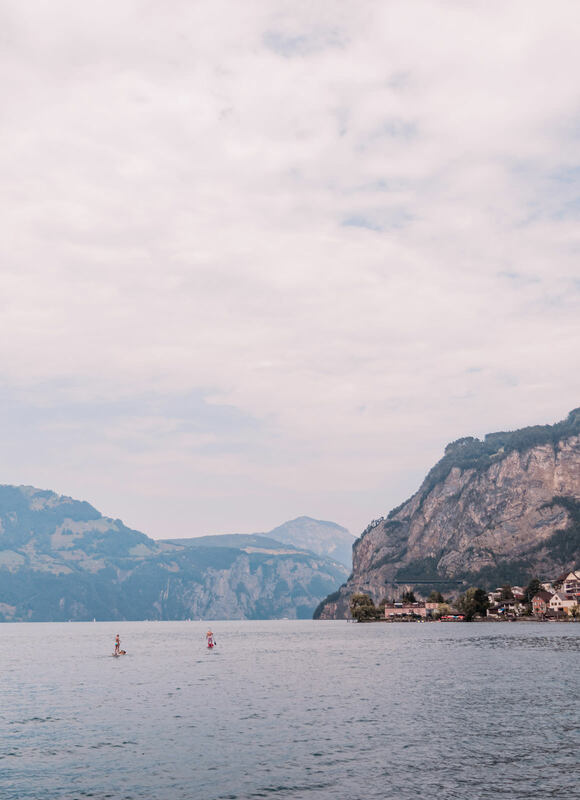 Since we moved to Switzerland Jase and I haven’t had a car – we’ve been embracing the incredible train system here. 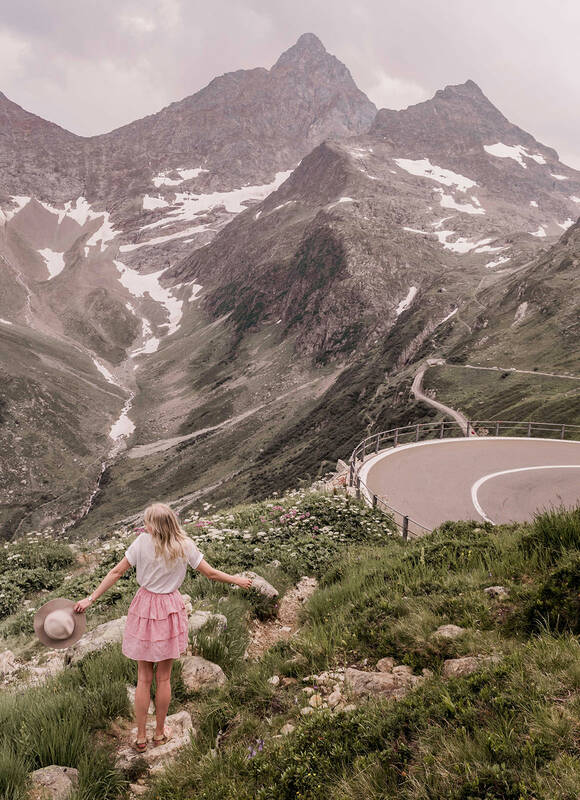 But as good as trains are, nothing really beats jumping in the car with a destination in mind but not much planned in between and just enjoying the ride. 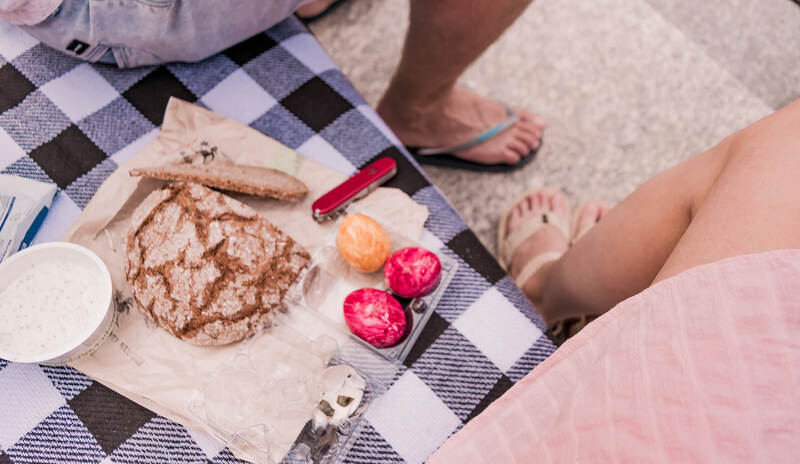 We love to load the car with snacks, put on some good tunes and wind the windows down, stopping wherever catches our eye to take it all in. 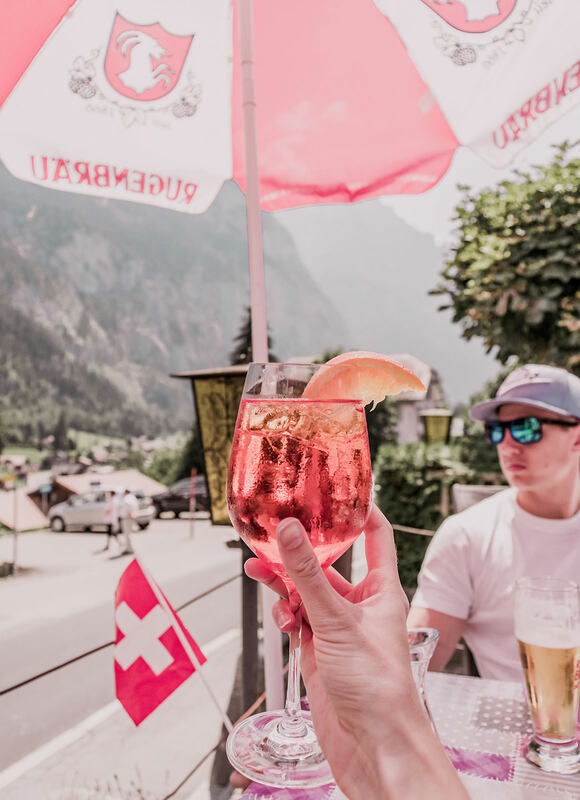 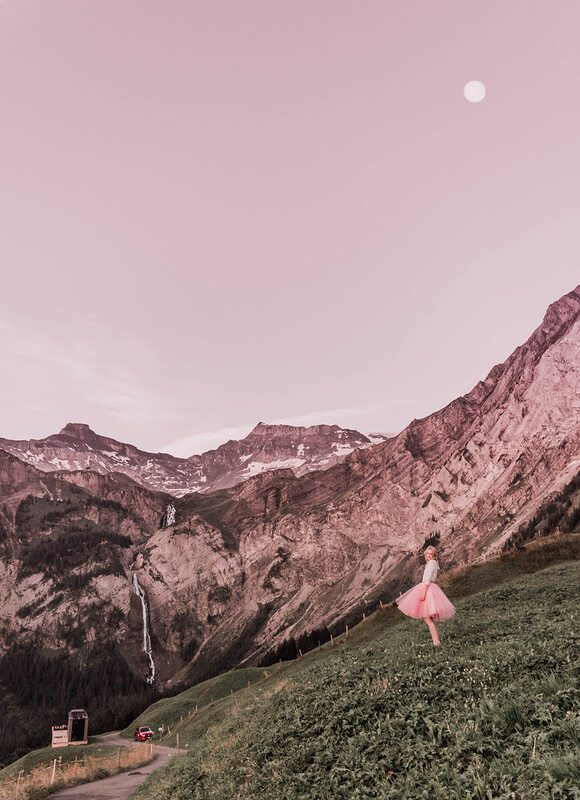 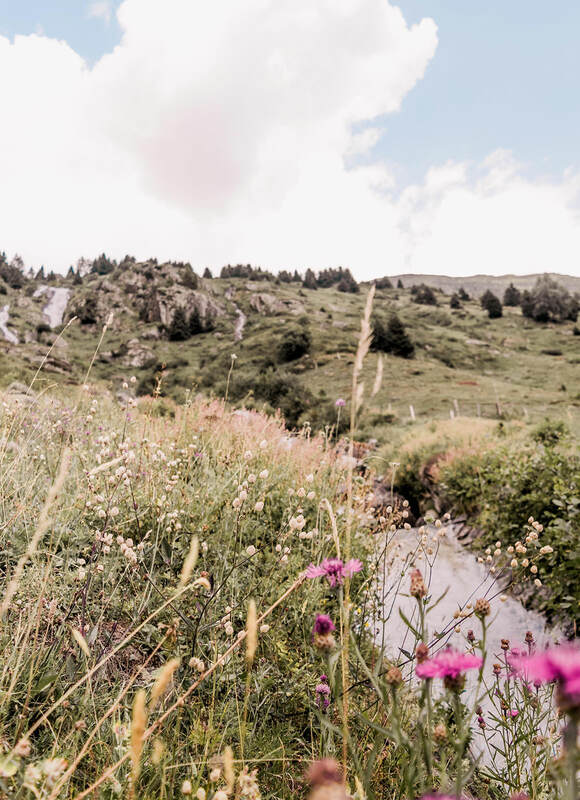 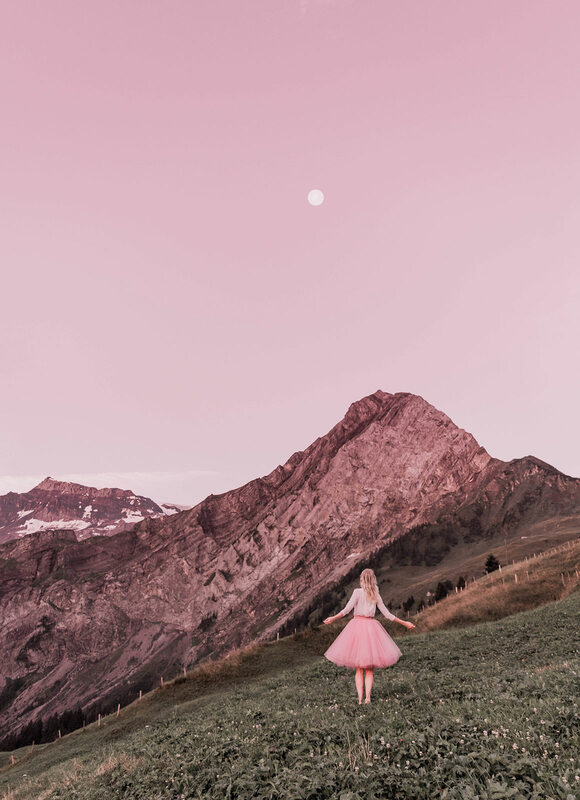 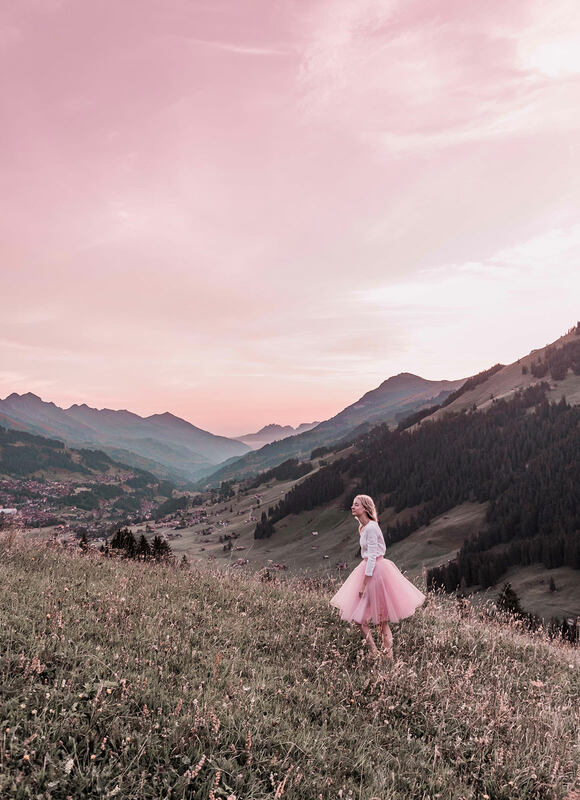 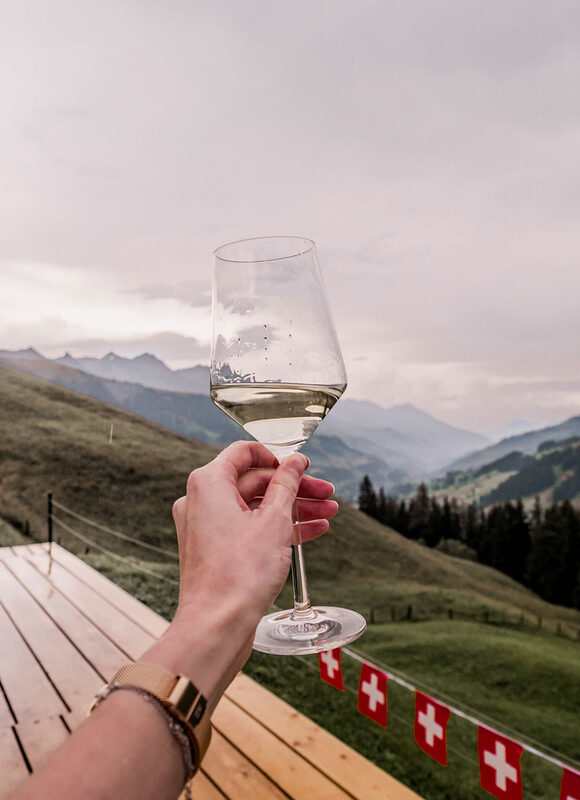 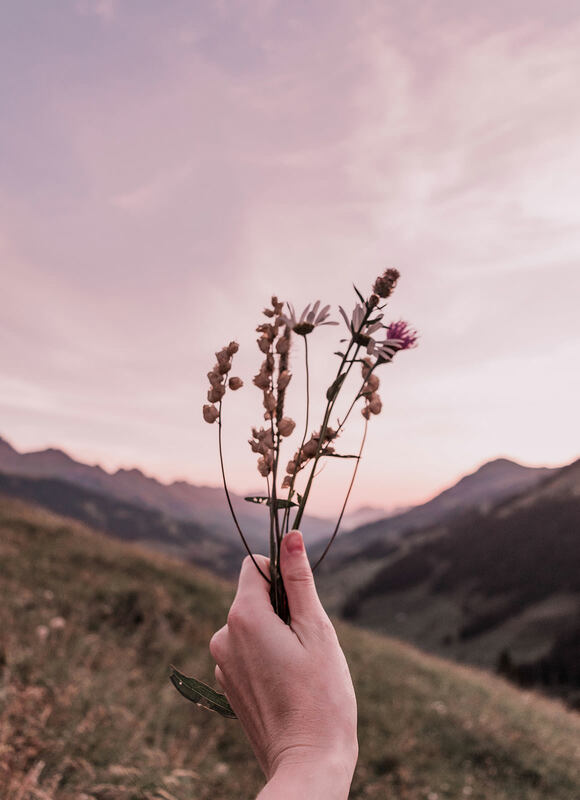 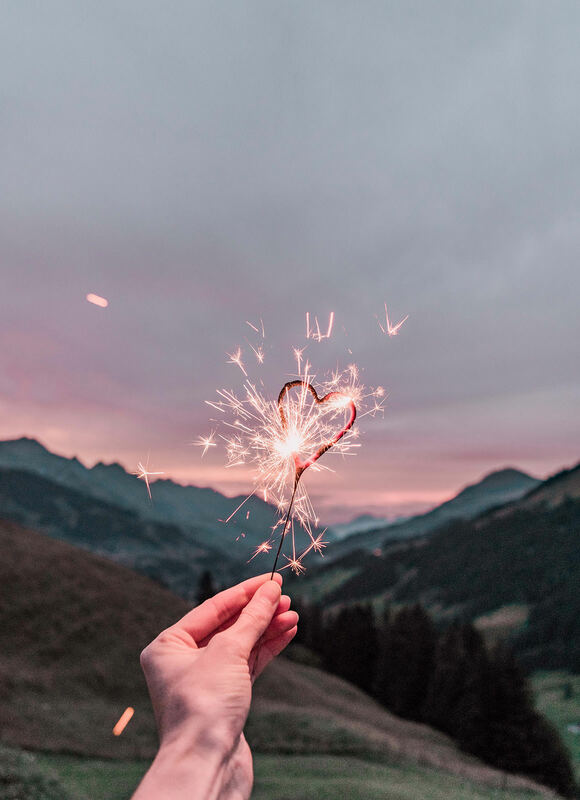 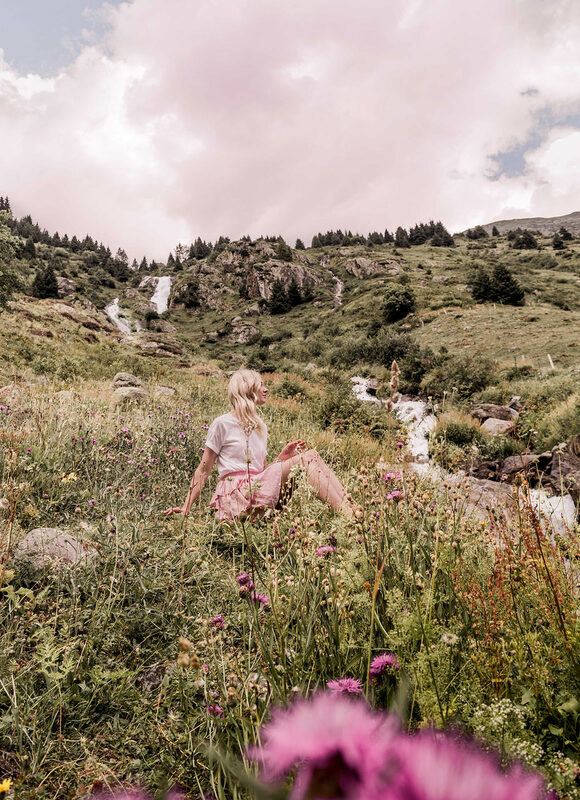 Last weekend we made our way from Zurich to Adelboden and below I’ve listed our favourite pit stops along the way… The perfect little road trip for a weekend or couple of days away! 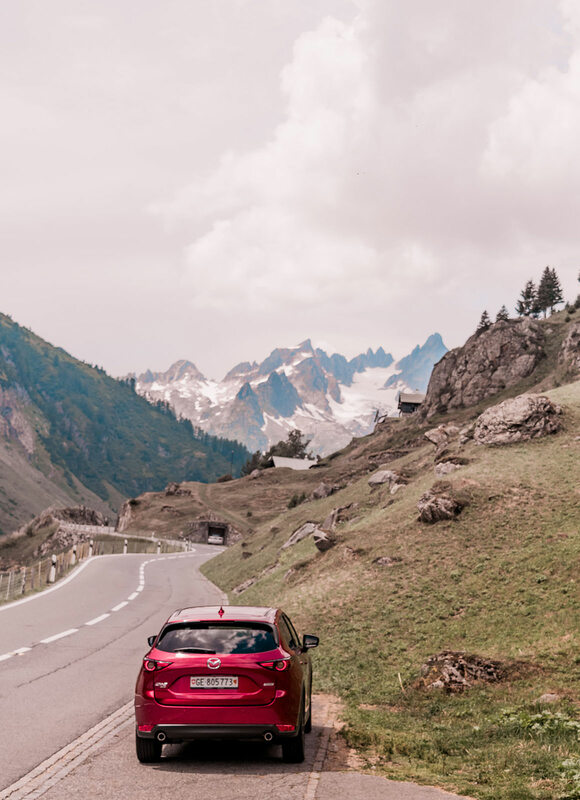 A big thank you to Mazda Suisse for sponsoring this post and reminding us just how much we love road trips! 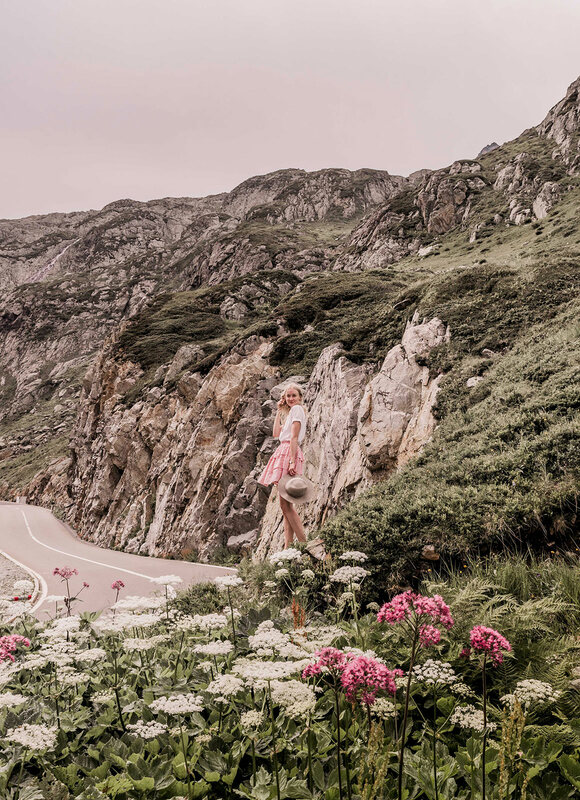 You can register here for a chance to have your very own My Magic Road Trip too. 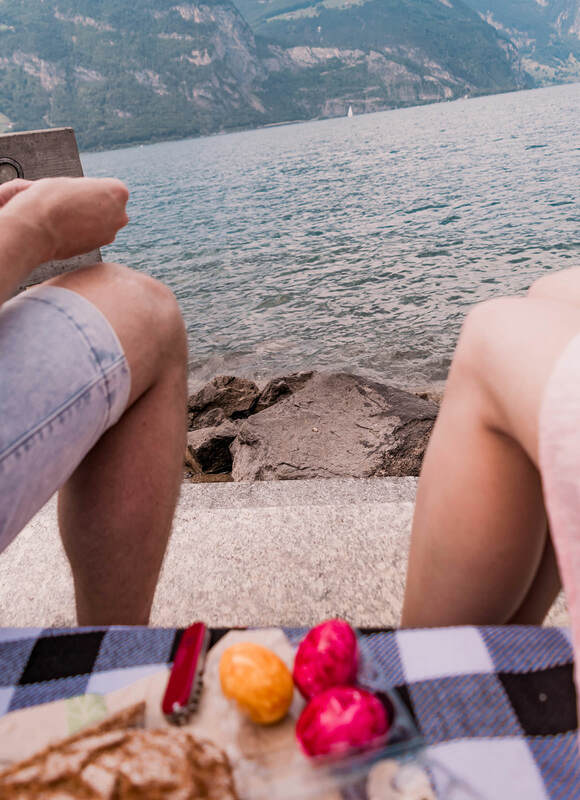 Our first pit stop was a cute town called Fluelen, it made the perfect location for a little picnic by the water. 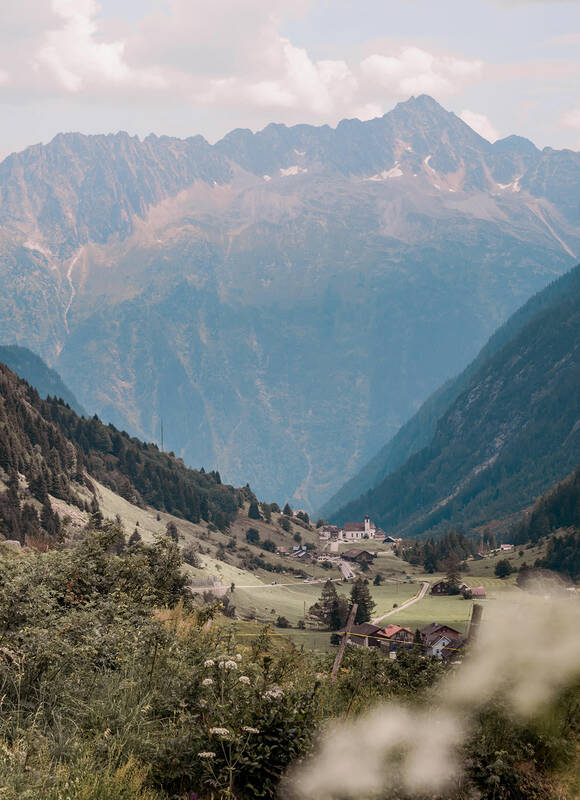 I adore the cute little church and the hilly views! 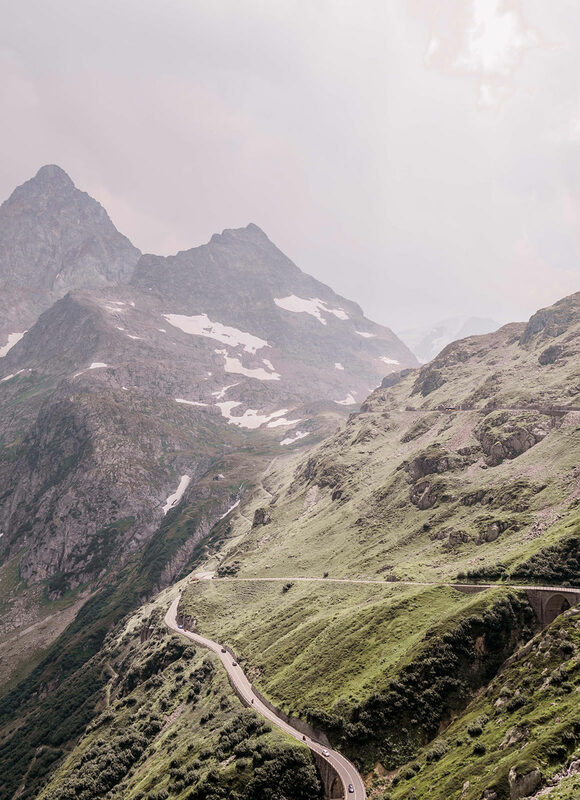 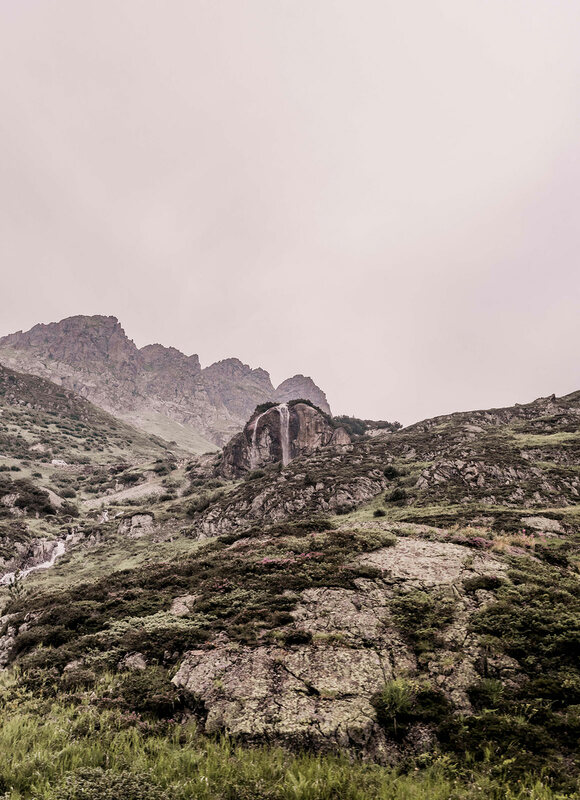 Some of the most beautiful roadside scenery I’ve ever laid eyes on… Furka Pass was a dream to drive. 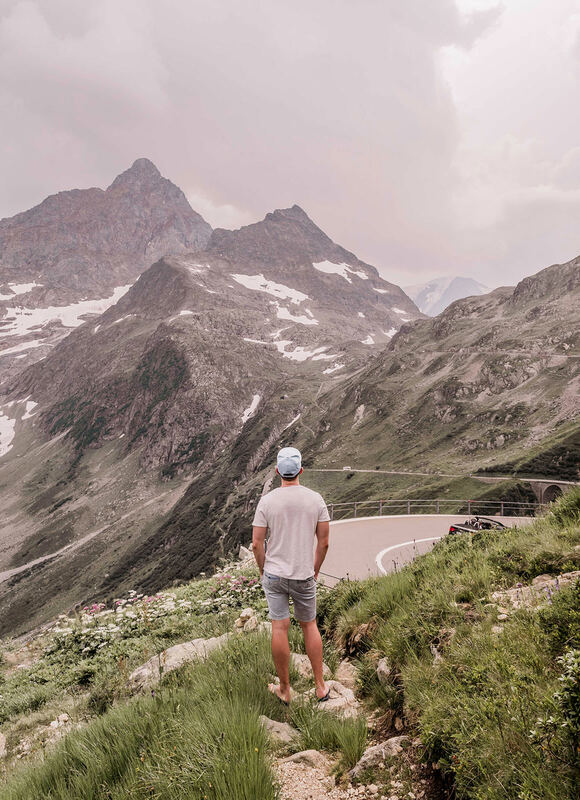 We stopped about three times because we just wanted to soak it all up for as long as we could. 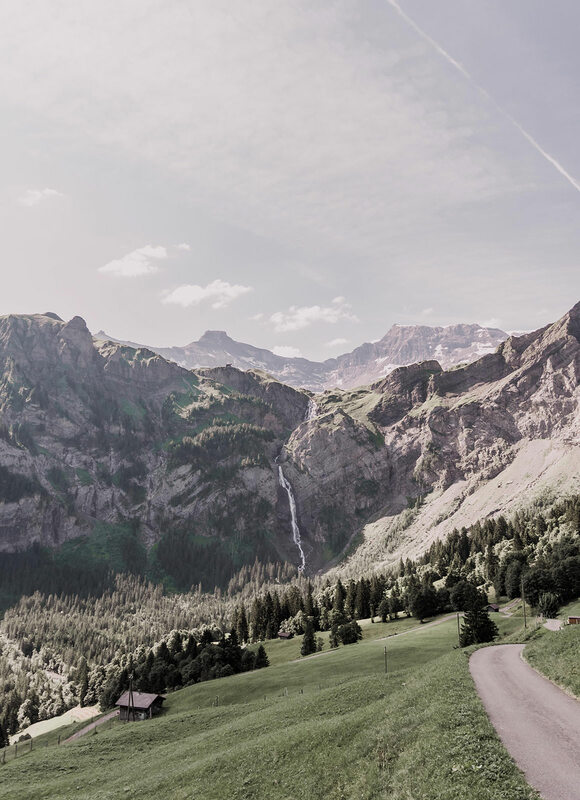 Think cascading waterfalls, snowy alp views (even on a hot summers day) and endless views of winding roads. 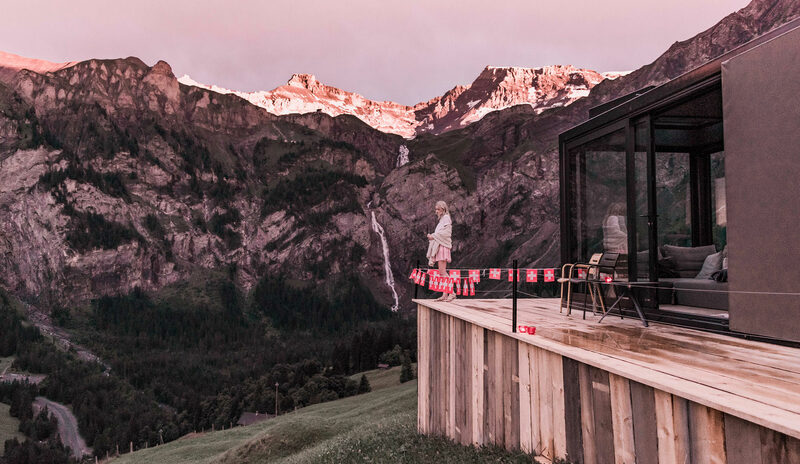 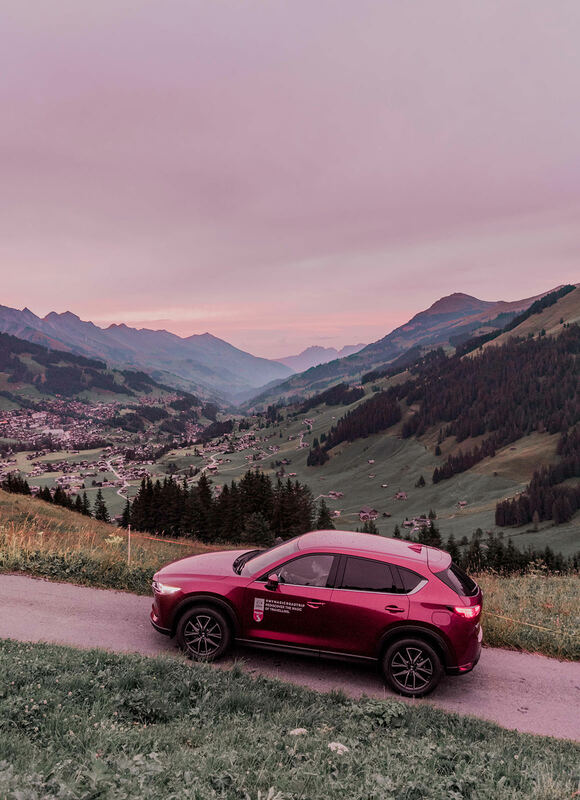 Adelboden was our destination for the night were we stayed in the Mazda Design Cube – this is a temporary hotel and the only way to stay is to register here with Mazda. 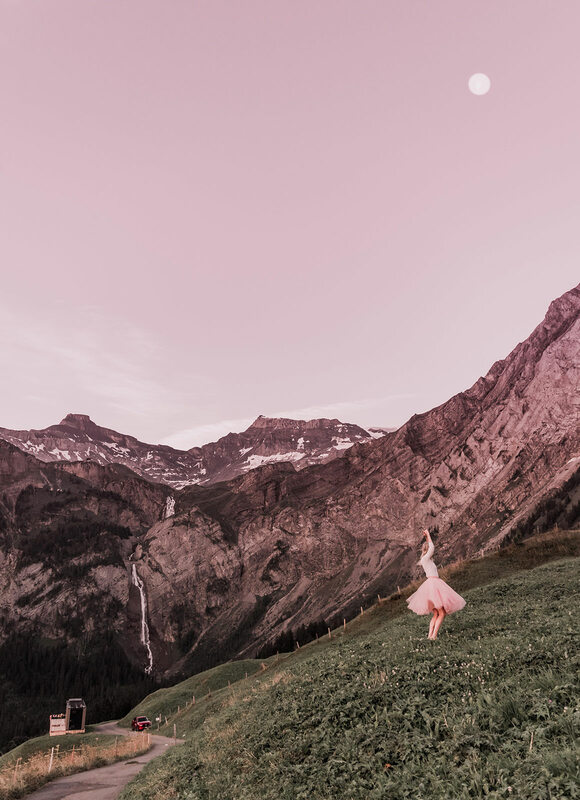 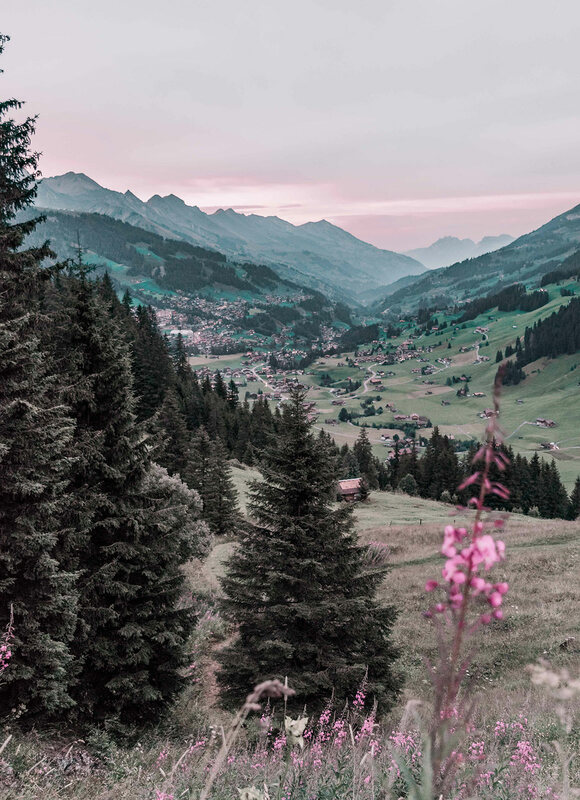 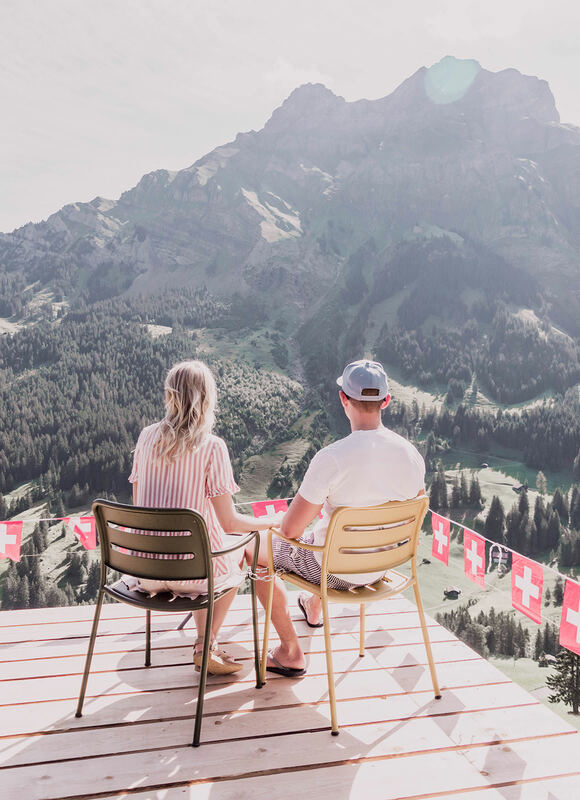 The valley views in Adelboden are literally breath taking and we were lucky enough to be celebrating our second National Swiss Day here. 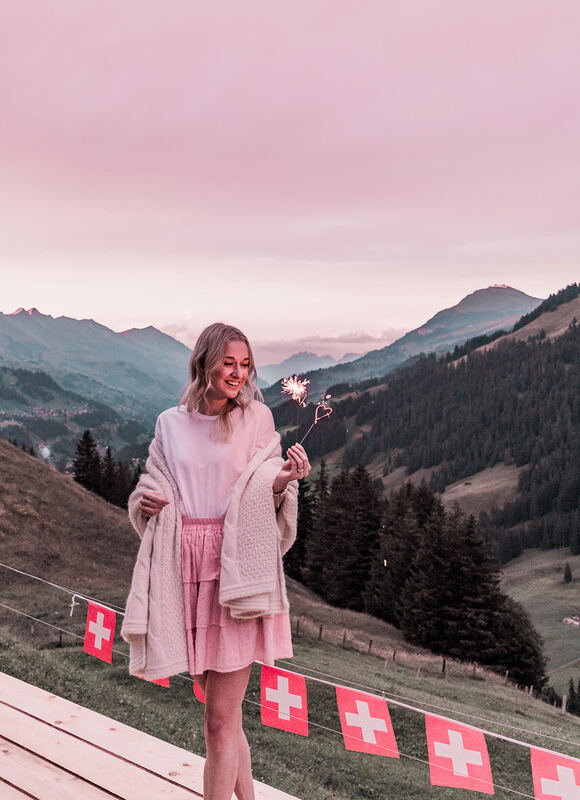 As the sunset over the valley we watched the fireworks from the village below and lit up our sparklers with a glass of wine! 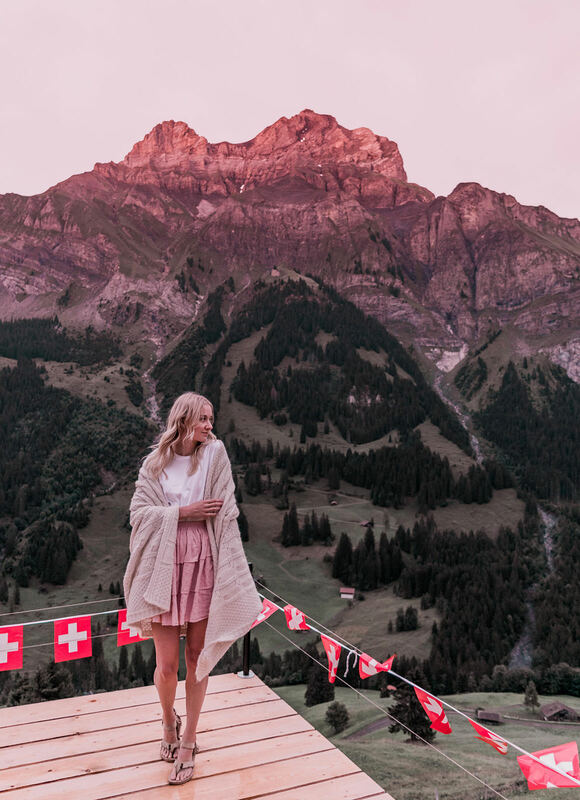 Because we wanted to enjoy this view as much as possible on our short visit we also got up to watch sunrise at 6am and the moon was still out. 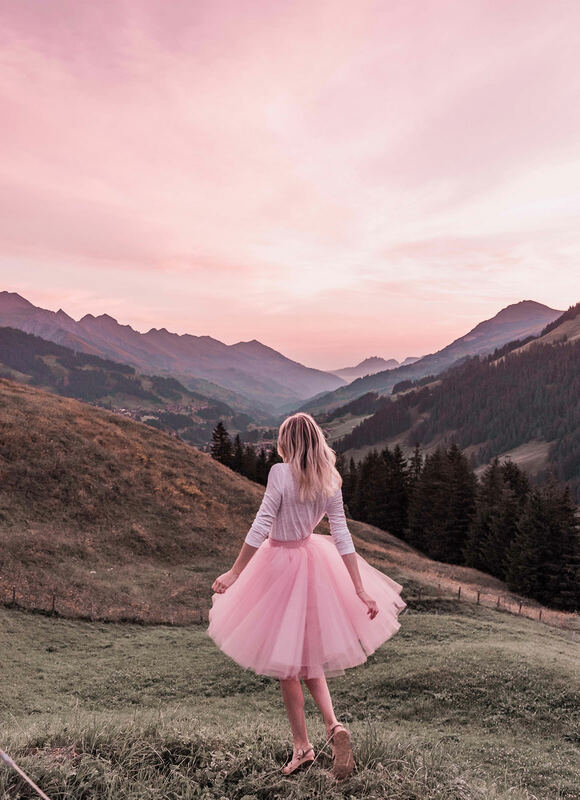 It was beyond magical! 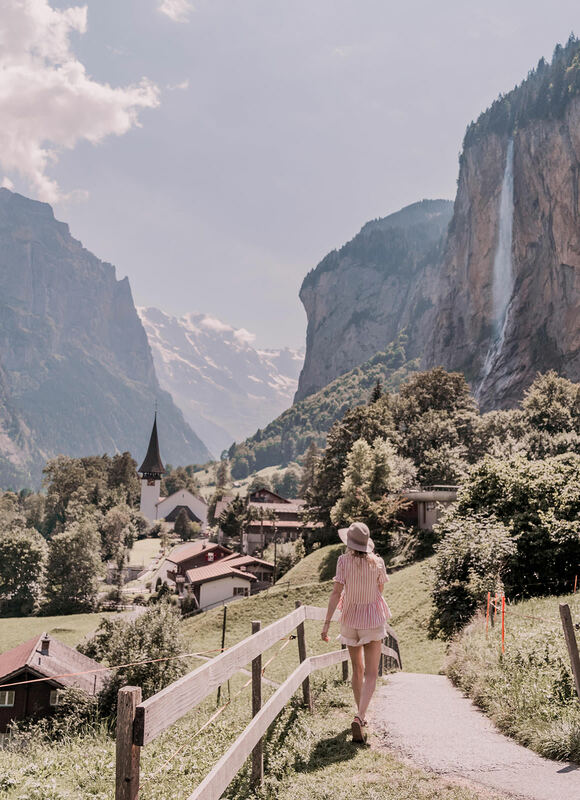 Lauterbrunnen is a cute village I’ve been wanting to see for a little while so I was very happy that it worked out that it was on our route back to Zurich. 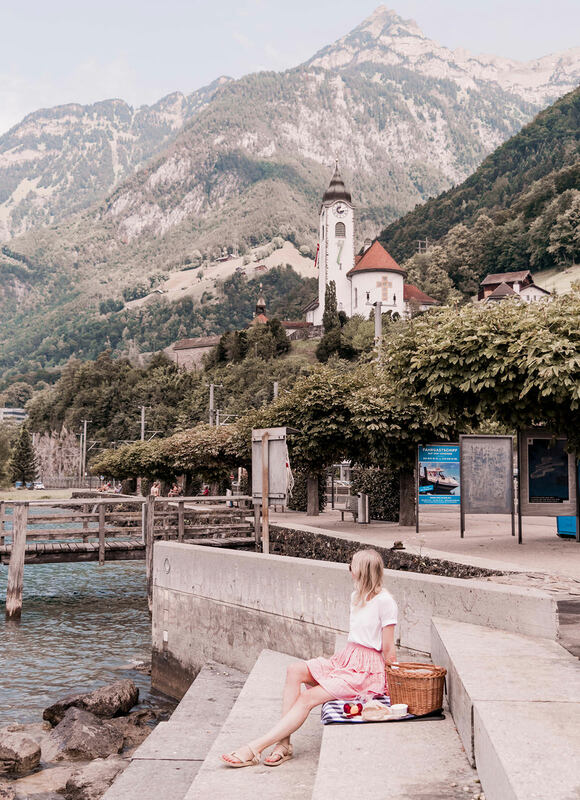 We stopped for a hearty Swiss lunch with stunning mountain views and saw the iconic view of the waterfall and church. 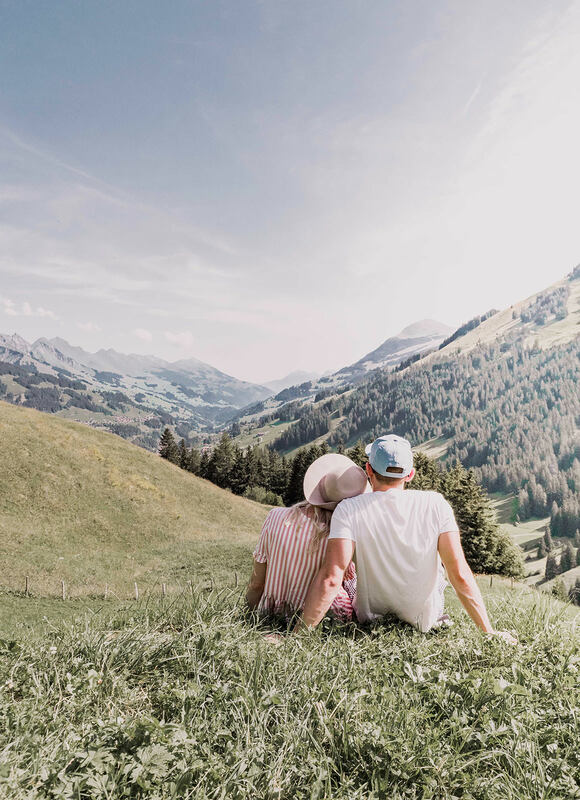 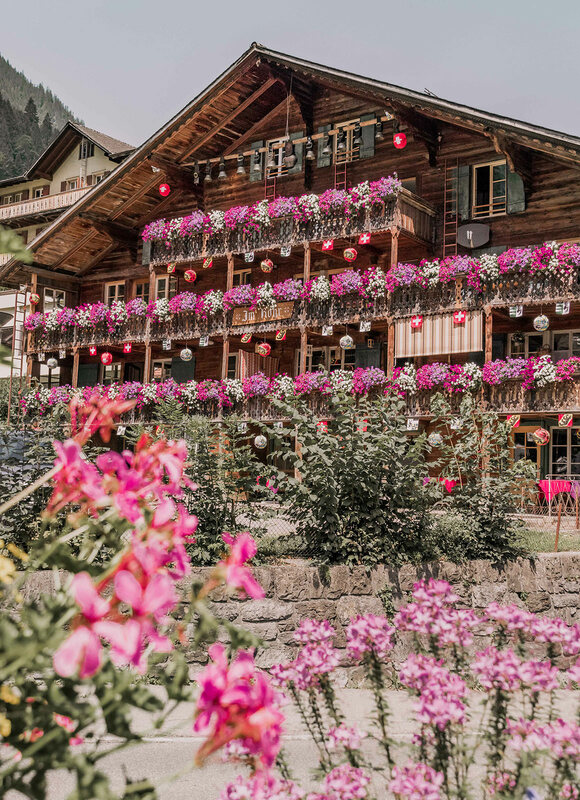 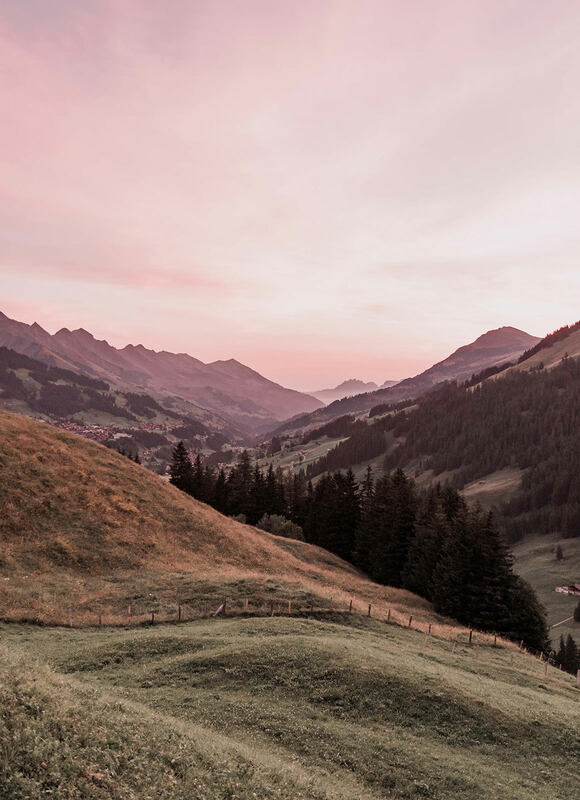 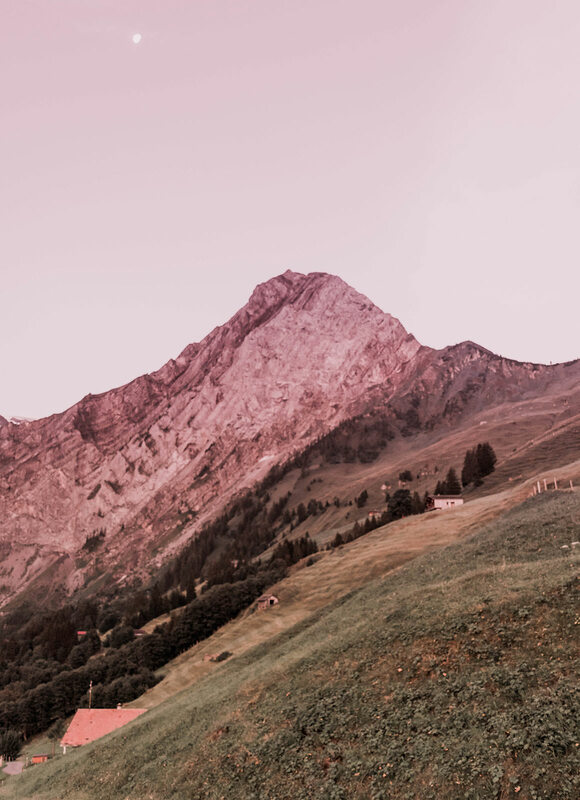 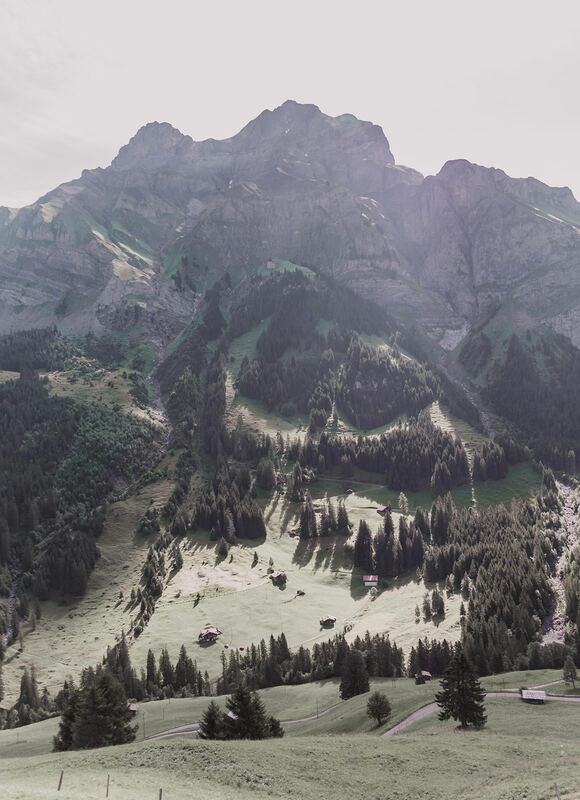 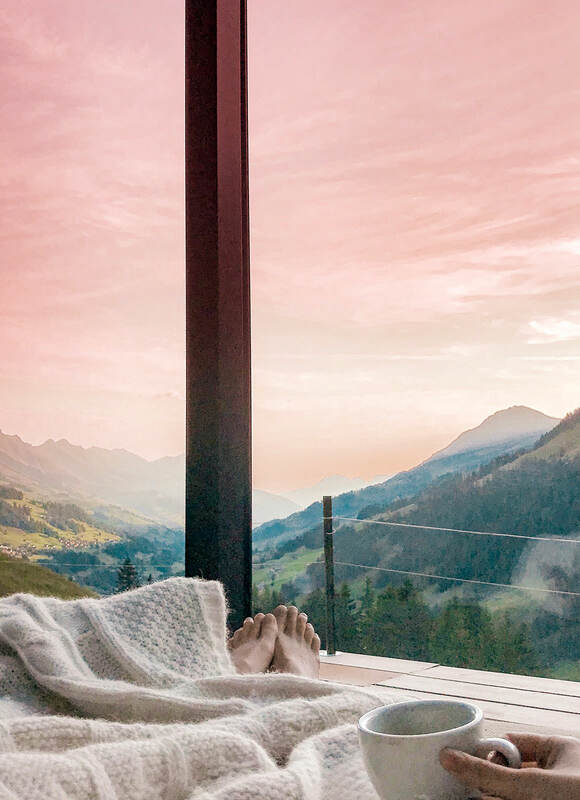 Our getaway from Zurich to Adelboden for a night makes the perfect Swiss mini escape or weekend away! 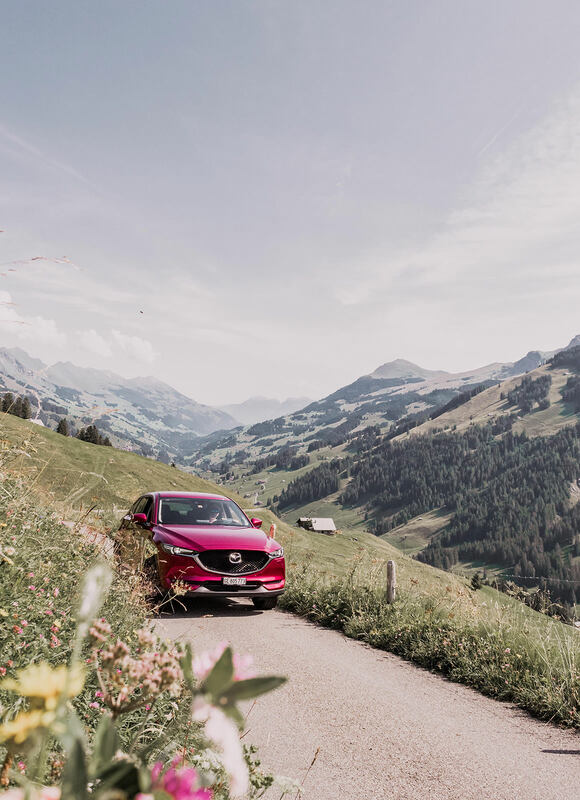 This post was kindly sponsored by Mazda Suisse, however as always all opinions are my own. 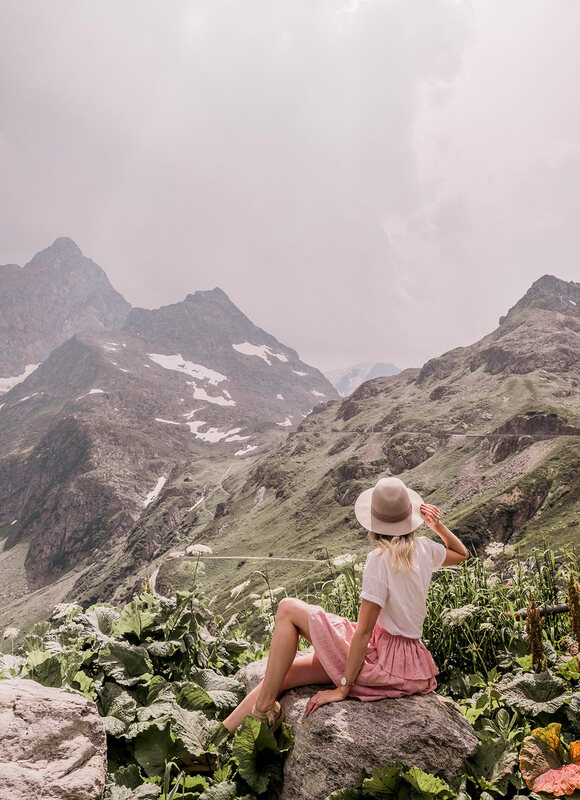 I only ever recommend brands and places that I personally love!